Each month, I introduce you to another business in our Siena Round Rock neighborhood owned and operated by Siena residents, sharing with you not just what service that business provides, but also why they do what they do and help you connect with your neighbors. This month, Jose Luis Cantu and Maria Cantu shares with us their business, Cantu Nursery & Landscape. Enjoy reading this and if you looking to spruce up your landscaping this spring, I recommend Jose Luis Cantu and Maria Cantu with Cantu Nursery & Landscape! 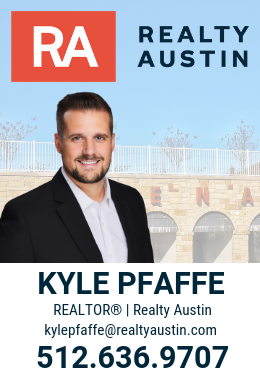 I would like to introduce you to another business in our Siena Round Rock neighborhood this month, sharing with you not just what service that business provides, but also why they do what they do and help you connect with your neighbors at a more personal level. This month, Shannon Bursey shares with us her passion for helping people live healthier lives through her Arbonne business. Enjoy reading this and if you have a question about Arbonne or their health and wellness products, I recommend Shannon Bursey in our Siena Community! Meet Siena Neighbor and Pool Constructor, Sarah Kiefer of Daisy Pools! This month, Sarah Kiefer shares with us her business and what inspires her to build pools and serve Siena Round Rock and surrounding neighborhoods. Siena resident, Felix Chavez shares with community his business and a powerful story about what motivates him to serve the community around him.